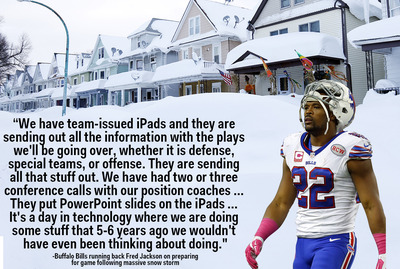 Microsoft paid $US400 million to make the Surface “the official tablet of the NFL” but it is Apple’s iPads that the Buffalo Bills are using to prepare for this weekend’s game while they are stuck at home following this week’s massive snow storm. Bills running back Fred Jackson was a guest on ESPN Radio’s “Mike & Mike Show” and explained how the team is preparing for this Sunday’s game in Buffalo even though nobody can get to the team’s facility to practice. At this point, the team’s “practices” are limited to what can be done on iPads and not Surface tablets which have become a common sight on the sidelines at NFL games. Jeff Tran, director of sports marketing and alliances at Microsoft, told Business Insider that Microsoft is continuing to work with the league and individual teams on how to expand the partnership beyond gamedays. As for the game, at this point it is not even clear if the game will be played. 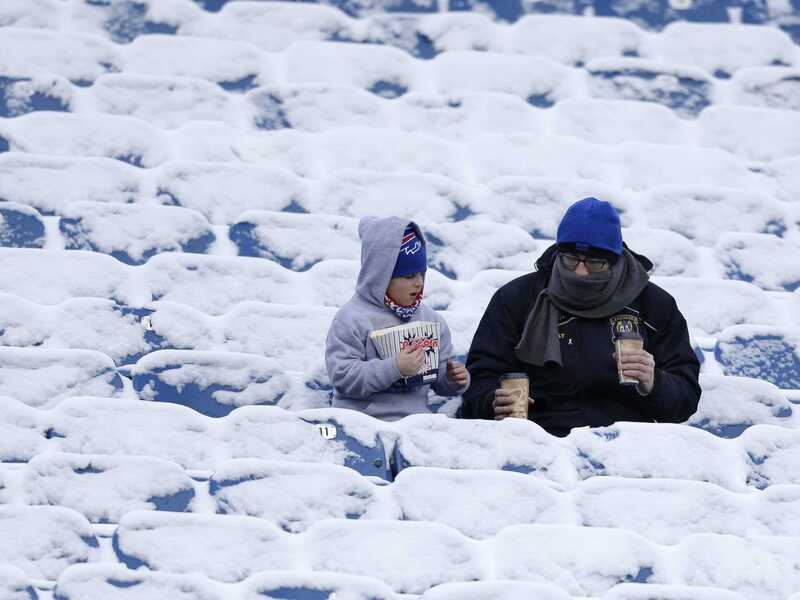 According to the Bills, Ralph Wilson Stadium is buried in waist-deep snow and that 220,000 tons of snow need to be removed. The Bills are proceeding as if the game against the New York Jets will be played at 1 pm on Sunday. However, some have speculated that the game could be moved to Tuesday like the NFL did with a Philadelphia Eagles game in 2010 when a massive blizzard was expected but never happened. The NFL is also prepared to move the game with Detroit, Toronto, and New Jersey all being considered by the league.